Green, Tweed, & Company manufactured the Pony Rochester Automatic Lubricator expressly for steam vehicles. Ernest Truchetet made several steam carriages in the 1880s. This example survives and ran in the 2015 London to Brighton Rally. 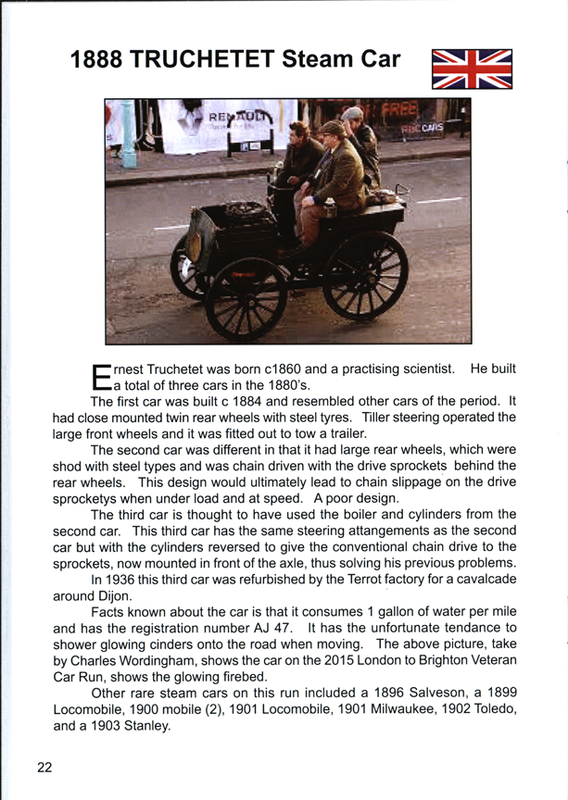 This information comes courtesy of the Steam Car CLub of Great Britain and its Steam Car magazine, January 2017. Contact us if you have additional information about the Ernest Truchetet Steam Carriage, or if you have questions.